The Resume’ v. C.V. debate simplified. Much has been offered on the merits, uses, and differences between resume’s and curriculum vitae; in fact, the coverage currently on this blog provides an amplified version of the Resume’ v. CV debates. I will take another route and present my perspective of resume’s and CV, this version can be aptly considered the simplified version: no diagrams, no pictures, no filler. The resume’ to me simply allows a prospective employer to remember your name and possibly a little background information such as your school, academic program, and/or your most recent job(s). It does little to make a difference in the big scheme of things, but does allow for your name not to be forgotten, like exchanging nametags at a conference or business cards at a networking event. The CV on the other hand provides one with the opportunity to present themselves faultless, without stuttering, sweating, a loose handshake, or a crooked tie/wrinkled blouse. While the resume gets a foot in the door, the CV puts one’s whole body (body of work) in front of the reader. While one’s style (attire, tone of voice, demeanor, and overall swag) may be communicated to an employer or graduate program recruiter in a conference career fair, one presents their substance through actual conversation with the recruiter, and that is what seal’s the deal. One’s resume’ is like style, it could serve to attract or distract. One’s CV, however, is equivalent to one’s substance, a CV reopens the conversation without you even being present. In the game of getting funding, a job, or accepted into a gradaute program, a resume’ is you saying “hey, remember me” in hopes that if the recruiter remembers you, then you will have a chance of being picked. The CV, on the other hand, is your way to customize your victory, to align what you have done to what that company or program aims to accomplish, to fit your piece exactly into the jigsaw puzzle of their enrollment goals. Giving someone your resume in today’s job market is like buying a powerball lottery ticket. Giving them your CV is Customizing your own Victory. The CV allows you to establish how you want to be remembered and where you want to be placed in the research lab, graduate program cohort, or new job. In the past several months I’ve found myself in a new predicament: how to trim down my CV into a resume in order to apply for jobs outside of academia. For most of my graduate career, I was very focused on “bulking up” my CV with presentations, awards, outreach work… anything thing to elevate it from “wimpy” resume status to “impressive!” and “important!” CV status. If you’ve ever read one of your professor’s CVs you’ll know what I mean. But since my career interests lie outside of academia, I’ve had to reverse the process for many job applications… but without producing something that looks “wimpy” again. The Chronicle of Higher Education provides some excellent tips here. More great advice from the University of Michigan here. UCLA provides a sample resume adapted from a CV here. Last year I decided to take what I thought was the ultimate professional plunge in academia: the switch from a resume to a CV. I took a few weeks to glance over my peers’ and mentors’ CVs to get ideas on organization, style, verbage, length, and detail. The process was ongoing for me as I prepared to apply for fellowships, scholarships, and professional conferences. I even googled CV examples for me to determine what was the best or what was considered appropriate for my field. In all of my searching, I came to a major decision: there is no right way. I spent so much time thinking that the design of my CV was the most important piece of it; that if it did not look like my colleagues that I would automatically be out of the running for whatever I was applying for. However, the content that you have, the experiences that you share, the highlights that you select to include based on your experiences are of the utmost importance on your CV. Take my advice: simple is better. Do not get lost in the font style, size, or headings. Just make sure that you tell the readers of your CV what are the most important parts of your prior experience that make you the top candidate. In all of the trial and error, I did come to learn that having a professional AND academic mentor/professor read over my draft copy was the best thing to do. They will correct the mistakes that make not follow what is acceptable in your field. Just be wise. Be honest. Be concise. Good luck! Often times depending on which program you are applying to, the only opportunity for the admissions committee to get to know you is through your application. Most programs aren’t able to hold in-person interviews, and therefore, they rely on the application, personal statement, and recommendations to determine if the department will benefit having you as a student. As a result, it is important to make sure that each piece of the application highlights a different aspect of your personal and professional life. Your resume or curriculum vita should highlight your academic and professional accomplishments. For the difference between a resume and CV, please refer to one of my colleague’s post. 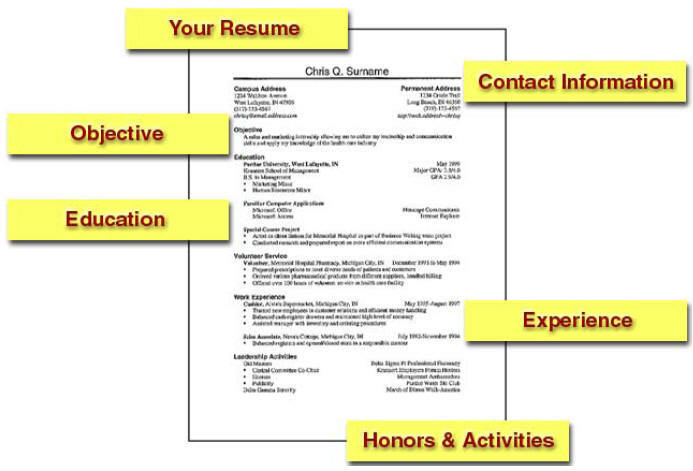 Your resume is the opportunity to explain to the admissions committee the skills and abilities that you have. It is important to highlight leadership experiences, unique educational and professional recognition, and tangible skills that you would bring to the school and educational environment at the university you are applying to. Instead of being repetitive, use the opportunity of having different experiences to list different skills and accomplishments. If you find that you have a long list of items, shorten it with only the most important and those that will really highlight you as an applicant. Your personal statement is your “interview.” Instead of writing about cliche topics, those that are expected to be read, use this opportunity to “wow” your readers. Be personal. Let them into your life and heart to understand why you are really pursuing this degree. Everyone says, “make them cry,” and in essence, yes! You want to make an impact after the committee reads your personal statement. This being said, you may have to dig deep and write about a challenging time in your life, a situation that is uncomfortable to rehash, or a topic that is uneasy to share. Not only will such an experience help you to reflect upon your own life but it will give a personal inside look to the person you really are. To the committee member, you will become a person not just an application. Letters of recommendations are very important. Recommendations allow the admissions committee to see how others think of you. While it is important to have a letter from an important person, it is more important to find someone who really knows you and can write to your strengths. If you have a recommendation from an important person who doesn’t know you well, you will get a very standardized letter that won’t tell the reader much about you. But if you get a letter from one who knows you well, the writer will be able to refer to specific examples and highlight the strengths and abilities needed to get your admitted. Because the admission application is a critical piece of your admission into your dream program and school, utilize it wisely. Since there is limited space, be sure to make good use of every page without being repetitive. An application that highlights all of your strengths and abilities while giving a personal, inside look of who you are will make you a strong candidate! Good luck! CV vs Resume: Let’s get ready to rumble! When it comes to resumes go big or go home! Hello my faithful bloggers or random perspective student who just happened upon my page 😉 [ Sidenote – I know the smileys may be played out but I love them!!!] Ok today the FTOD is coming at you hard and fast. My associates and I are discussing CVs and Resumes. To be honest… two years ago before I started this PhD program at IU, I couldn’t have told you the difference between the two or why they are important. But now being a veteran grad student I can layout a couple of the major differences so here goes. First with CVs. In general CVs are prepared for academic or research jobs. They are complete index that highlights all of your academic achievements. They can be as short as 5 pages, or as many as 35 depending on the productivity of the scholar or researcher. Currently my CV is 5 pages, but I’m working on it. For CVs in general, the longer the better. Finally Resumes… unlike CVs resumes are geared toward administrative and business professional positions. Unlike CVs they are short, usually 1 or 2 pages, and they emphasize professional experience. I will end with my FTOD. Which is make use of your institutions Career Services. They are paid to help you with making CVs and Resumes. Take advantage of it. Until next time.